The Aymara New Year in Bolivia always falls on June 21 each year and celebrates the Winter Solstice and planting season. Aymara New Year is an official government holiday that was passed into law by President Evo Morales back in the year of 2010. Business and government offices are all closed on this official government holiday. People spend the day relaxing with family and friends. 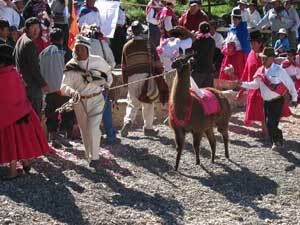 The Quechuas and the Aymnara have traditionally celebrated the winter and summer solstices and the planting seasons that go with each. This holiday was established in 2010 to acknowledge these traditions.